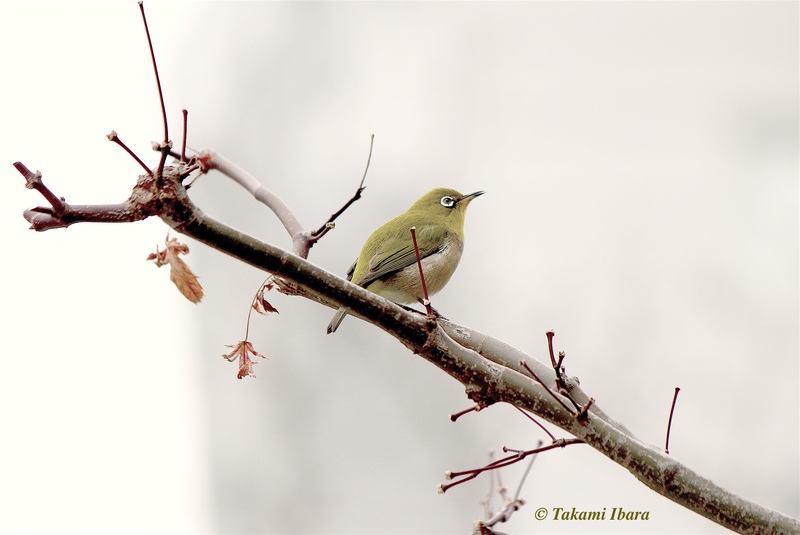 This entry was posted in Birds (鳥), Parks (公園), Photography (写真) and tagged メジロ, birds, 野鳥, 鳥, japanese white-eye, mejiro, wild birds, 小鳥 by T Ibara Photo. Bookmark the permalink. Yes I did. Such a fascinating image. Thank you Inger! I’m happy you liked it. This is one of my favourite birds and I wanted it to have all the attention 🙂 Wishing you a Happy New Year. Yes, kingfisher! Love this bird! :). Wonderful photo. I looked at it for a long time. I am now back after moving to Helsinki from Mikkeli. And our best wishes to your wife too! This might be my favorite photo of yours. Gorgeous. beauty in nature and simplicity in composition coming together as one, ibara-san, well done, love it! Thank you Ken-san. I am overwhelmed by the positive feedback! with pleasure and you are most welcome, ibara-san, the lighting and composition of the shot is just right. ken. Thank you 🙂 Best wishes. Oh how I enjoyed this stunning, zen-like photo, Takami. I’m pretty sure this bird is called Japanese White Eye. Dear Jeannie! What a pleasure and honour to know you enjoyed this birdie 🙂 Your birdie photos have always been an inspiration and I know you and your partner would have a blast making photos of this particular bird 😀 Hope you are doing well my friend, and that autumn continues to give you many reasons to smile!! I don’t even have adequate words to describe the calm that overtakes my heart when I gaze upon this picture, and I urge any viewer who has not done so, to click on the image, for the greater the size of this particular picture (and this is a true bow to the amazing photographer), the greater that sense of calm becomes. Kudos Takami, though I may not have thought it possible before, I believe you might truly have outdone even yourself with this beautiful capture. My friend, thank you so much. I’m overwhelmed with the kind words and positive feedback. I try not to put personal feedlings on this site (would rather have folks hopefully enjoy the photos) but hubby and I find ourselves standing at a crossroads – how we want to live this Life… Seeing this bird brought a tear to my eye and I’m grateful it paused long enough to allow some shots. Thank you again my friend. I hope you are having a good weekend in your beautiful city! Actually, it rained a lot, but an indoor week-end also has its benefits, so no complaints on my part. You folks have a great week now. What a beautiful bird! Do you know what it’s called? This bird is called a “Mejiro” or Japanese White-eye 🙂 Thank you so much for your comment! No problem! Thank you for the information! Thank you my friend Herve! I’m so happy you can enjoy this beautiful bird 🙂 All best wishes always, my friend. I hope all is well in HK. Hubby and I wish you a happy autumn too! Great to hear Takami ~ I’m on my way up to Hangzhou today, and it is usually quite beautiful in October, so even though it is work the atmosphere will be fine 🙂 Cheers! As I travel the dark and shadowy roads of life, I delight in those moments when I arrive At The Crossroad, where a light brightens my way and lifts my spirit and takes me along another path, at least for a time. Takami Ibara, is wildlife photographer extraordinaire, like none other I’ve found. You may find her and her exquisite work at https://tibaraphoto.wordpress.com. A beautiful, delicate photo – it should be hung in a gallery as a work of art! Takami, this looks somewhat like a painting in the classical style, one of those ancient scrolls hanging in museums. The bird is extraordinarily sharp and its muted colors are wonderful to look at, for a long time. I can’t wait to see autumn through your photos as well! Best wishes always. I echo these comments. The photograph is beyond extraordinarily beautiful. But this your element, capturing the magnificent as you do. Thank you for sharing your art. It brightens my morning. Thank you Peter. Your comment has made my evening. It’s the greatest honor to know that some of my work can brighten someone’s day. As you know, I aim to capture what I see honestly and simply. Takami, your work is the pinnacle of wildlife photography. As such, I am compelled to ask your permission to reblog. May I? Oh, wow! That is breathtakingly beautiful in its simplicity. Agreed! (About the simplicity.) The simplicity also underlines the sadness. This picture looks like a chinese painting, gorgeous ! Gorgeous Ashi as always ! That has got to be one of my favorite pictures you’ve taken. I love the simplicity. Looks like something that would be on a piece of classy stationary.